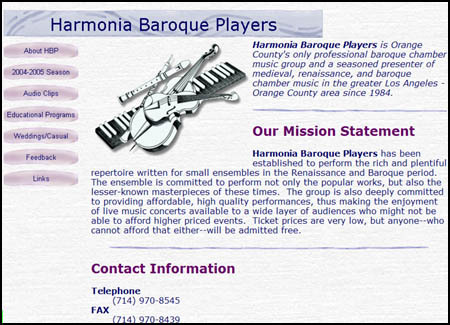 Harmonia Baroque Players is a professional early music ensemble based here in Orange County. While I’ve been running their web site on a volunteer basis for a number of years, the look & feel has always made me cringe, especially because their quality of their music (listen) is not represented accurately by the pathetic FrontPage design. So I took matters into my own hands the other day and brought it into the 21st century. I’m pretty happy with the new site, especially considering I whipped it together in about six hours from start to finish. Goodbye FrontPage, hello CSS. 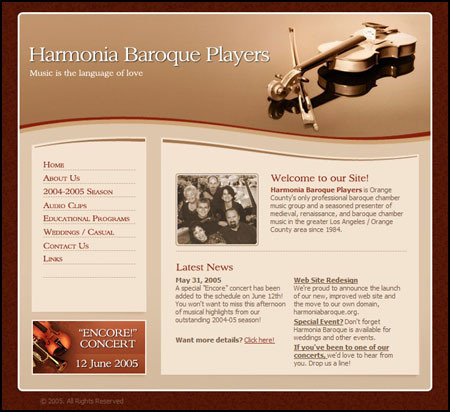 Harmonia Baroque is far from the only organization out there with a lousy web presence. In fact, I’d say that most 501(c)(3) non-profit arts organizations have poor web sites. Cluttered, infrequently updated, poor user interface, lack of content, and so on. It’s especially sad when you consider that arts organizations are tailor made for the web due to their multimedia nature. Visual arts groups can post photos of their exhibits, music groups can put up sound clips, etc. So while I can’t fix them all, at least the early music strata on the World Wide Web is looking a little prettier. And I can admit to working on the Harmonia site rather than suddenly pretending I don’t speak English when asked about it. Now that’s what I call a win/win. Looks really nice. Could use a few more f-holes, though . . .
BTW, it’s “stratum” in the singular. That’s top quality work there, sir. 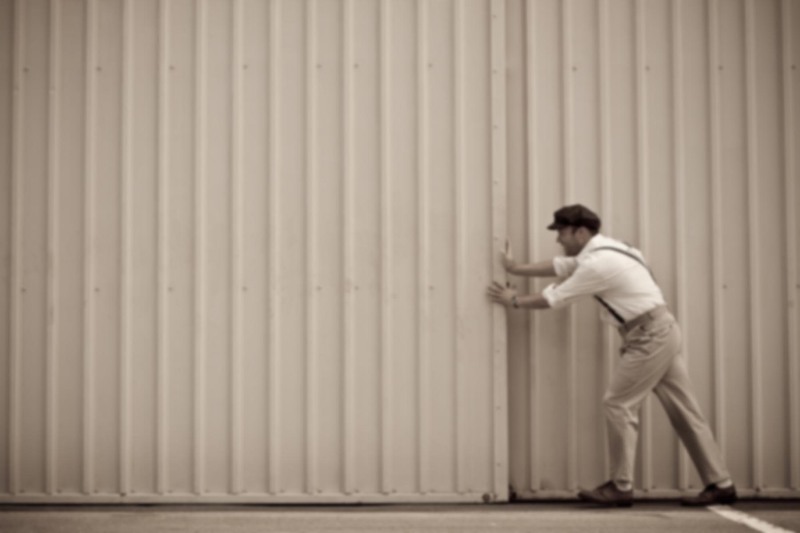 You turned that site from something dreadfully boring to something warmly inviting. Good show!